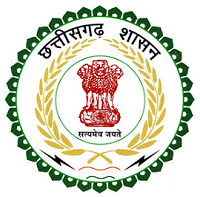 The office is headed by the Chief Electoral Officer appointed by Election Commission of India. Elections are conducted according to the constitutional provisions, supplemented by laws made by Parliament. The major laws are Representation of the People Act, 1950, which mainly deals with the preparation and revision of electoral rolls, the Representation of the People Act, 1951 which deals, in detail, with all aspects of conduct of elections and post election disputes. Search Voter List-To get information about District Wise voter list, Please go to the below link.